No one really enjoys the work of payroll management. And, while it's an essential part business operations, there are certain indicators that can be signs that it's time to outsource the payroll operations. Payroll management is a business function that, along with taxes and other HR functions, can be labor intensive and often quite complicated. And, the larger a company becomes, the more resources are needed to keep up with the demand of these functions, especially payroll. Is it any wonder why these tasks are so often outsourced? Businesses find that, at some point, the potential savings generating by moving some of these functions off-site and into the hands of a third-party vendor for outweigh any costs involved. However, for many business owners or managers, there is still a tendency to think of "outsourcing" only in terms of an "expense" and fail to see the bigger and long-term picture. From a cost-effectiveness perspective, when does it make sense to use a payroll management service? The question is a valid one and must be answered before a company commits to contracting with an outside vendor to manage their payroll processes. There are many reasons to consider outsourcing, but knowing when it is a good move can be challenging. Perhaps the most readily apparent indicator is when the time and labor savings become clearly evident. And there are other indicators that can signal to an owner or manager that it is time to outsource functions such as payroll. While there are probably numbers of other indications that your payroll processing is becoming an unwieldy operational burden, we have identified five significant signs that, taken together, likely mean it's time to consider outsourcing for your payroll. Payroll mistakes are costly. In addition to the costs, you also run the risk of creating problems with employees and, possibly, government agencies. When payroll becomes overwhelming for your staff mistakes will happen more often, and the more dangerous and costly they can be. Professional payroll management services specialize in processing complex payroll systems. And because this is what they do best, they also accomplish this much more quickly and efficiently than your own staff is able to. Since your payroll staff probably has multiple roles to fill in your business, removing the burden of constantly processing your payroll will increase their productive time. While large corporations might be able to absorb the cost of fully staffed payroll departments this is not the case for smaller businesses. For example, if your business has, say, less than 20 employees, it may well be far more cost-effective to outsource your payroll operations. And when you include the cost of printing and distributing checks, creating tax documents, and related tasks associated with your payroll process, the savings can be substantial. A good payroll services provider is up to date and knowledgeable on employee and payroll compliance. They must stay abreast of all new tax laws and regulatory mandates on the federal, state and local levels. The burden on your own staff to maintain this level of compliance knowledge only increases with each legislative session. Business owners are always under the gun to acquire and maintain the latest version of their payroll software and ensure that they have the most recent tax information. Outdated tax and payroll information can be a nightmare for a business requiring regular updates or upgrades. Outsourcing your payroll management process eliminates the need for these expenditures. If your company has been around for a while, it's quite likely you've already considered the possible need for hiring a payroll management company. Knowing how to get started or what steps to take first can be challenging. And it may seem that having to revise the existing overall business plan of your company by integrating a new payroll management approach may be a major undertaking. Or perhaps you are simply wondering if the costs involved will be warranted by the results? The reality is that making a change in any business system can be challenging and, in the case of outsourcing, involve an investment. However, by relying on the right payroll services provider, the transition can be relatively painless and the end result will be a payroll system that runs smoothly and accurately. "One of my rules is, if you have even one employee, get a payroll service. The penalties for screwing up are so much more expensive than the cost for the payroll." One of the keys for keeping happy employees and keeping the IRS away is to implement an efficient and cost-effective payroll management system. And one of the best ways to accomplish that is to outsource your payroll process. In addition to reducing these potential issues, your staff can spend more time growing the business as opposed to handling the payroll management functions themselves. Take some time to review the state of your own payroll management processes. 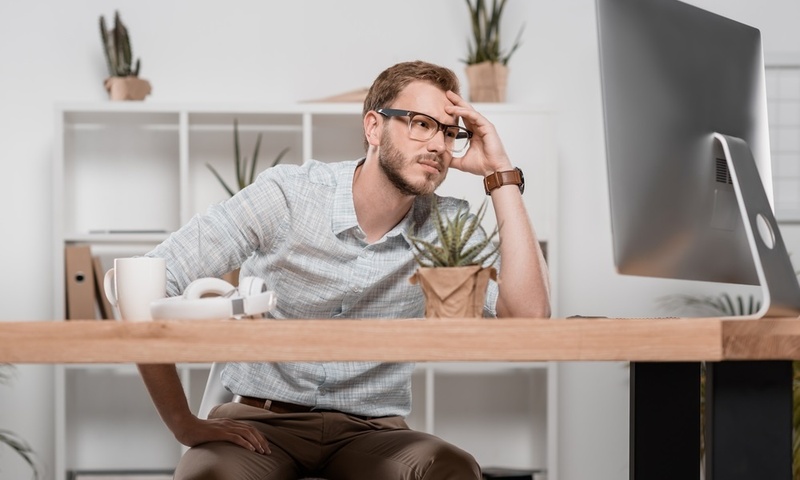 If any of these signs are apparent you might find that your payroll process is becoming a drain on your company's time and resources, and a drag on your ability to grow. If that's the case then it's time for a change!